Poised to Make You Look. I’m a fan of minimalist design. I’m also a fan of design that is engaging in a way that makes you stop and think about how it works. 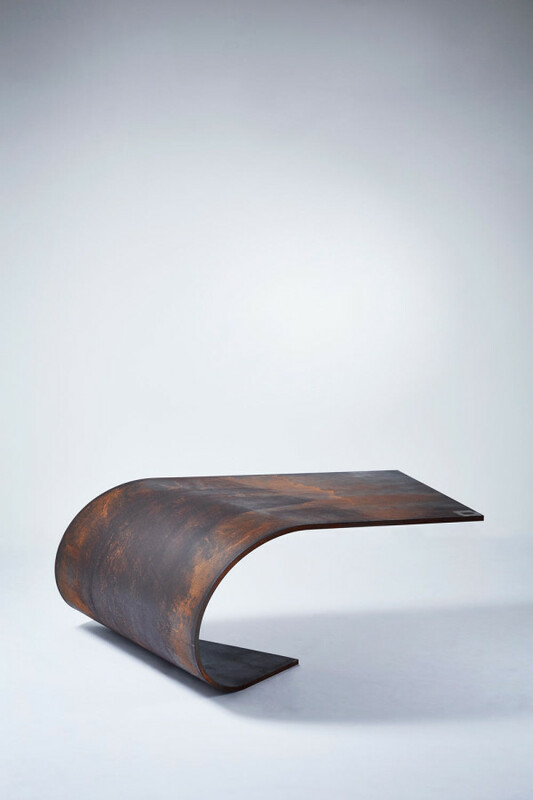 Case in point “Poised Table” from UK designer Paul Cocksedge. 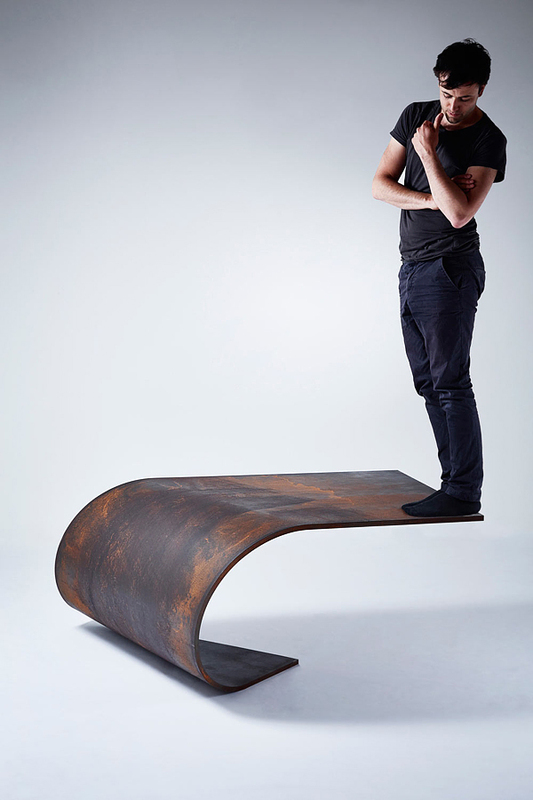 Poised Table is made from a single piece of rolled steel weighing in at 1000 pounds. The dead weight and shape of the object allow it to stand, and support objects. 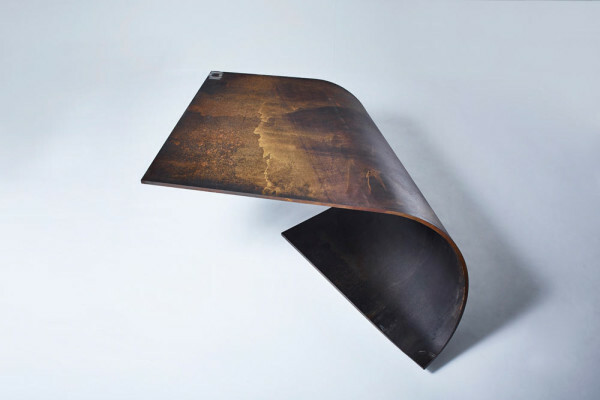 The material used gives you the illusion that the table is light, floating, and precariously balanced ready to tip over. 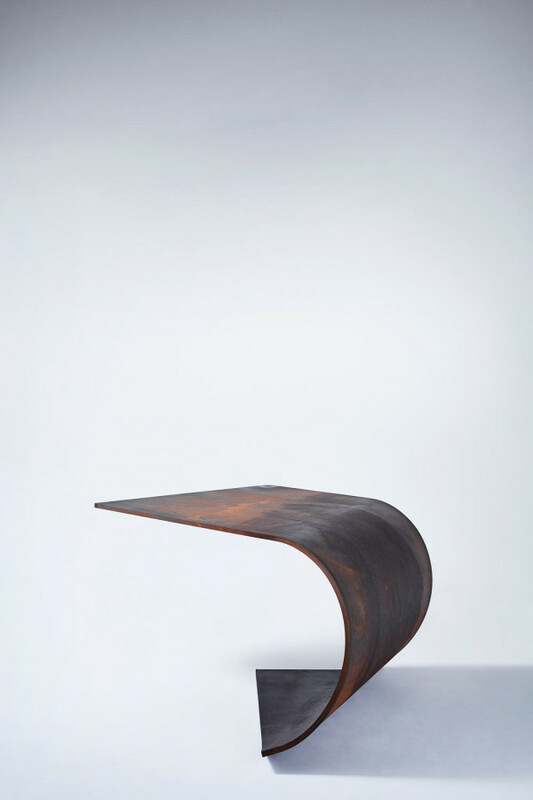 I really love the tension created by the materials, shape and size of this object. Cocksedge has created a limited run of just 10 of these for his first solo show. If you happen to be in New York, you can swing by Friedman Benda gallery through October 12th and pick one up. Posted in Design and Art, Furniture and tagged Friedman Benda Gallery, Furniture Design, Industrial Design, Paul Cocksedge, Poised Table on September 18, 2013 by Author. ← Studio AKA tells “The Story” for TSB.